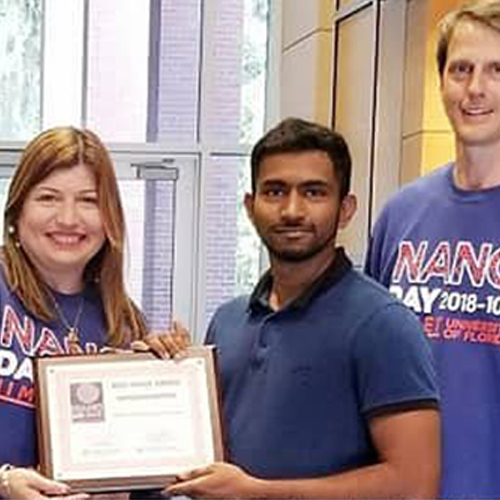 Sarathy Gopalakrishnan, Poorvajan Sekar, and Ishita Singh won awards at the University of Florida National Nanotechnology Day (Nano Day) on Oct. 9, 2018. 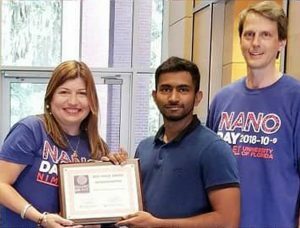 Gopalakrishnan won two best image awards in the nanochemistry and nanomaterials categories. 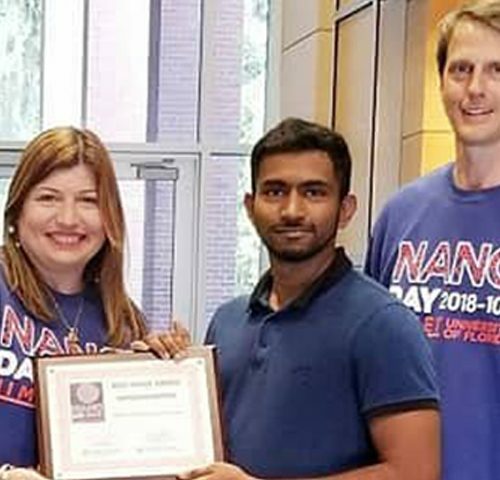 Singh won best scanning electron microscope (SEM) image. 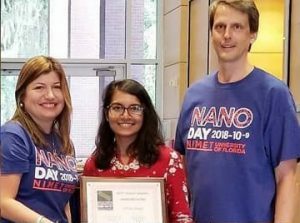 UF researchers in NIMET (Nanoscience Institute for Medical and Engineering Technology) celebrated Nano Day with hands-on lab demonstrations, presentations and more. 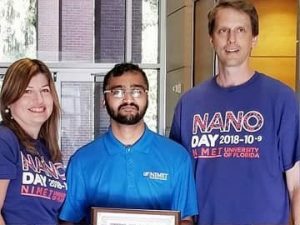 NIMET is a university-wide institute administered by the Herbert Wertheim College of Engineering. The institute is dedicated to advancing big ideas with small science.